Nearly six years ago, we became educated about the health benefits of an organic, non-GMO diet. 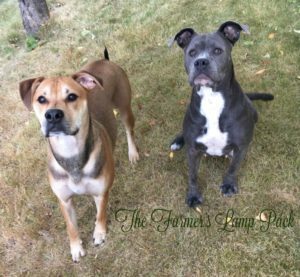 The changes in our health have been phenomenal and so we began to wonder about our livestock. In the end, we truly are what our animals eat. We free range and allow our livestock to forage, but we do give our chickens feed once a day. We knew we would pay more for organic chicken feed, but we knew the real and tangible health benefits we would all experience would be worth the cost. We raise livestock, including chickens, for our own food so this meant we would have to feed them in line with our priorities and goals. 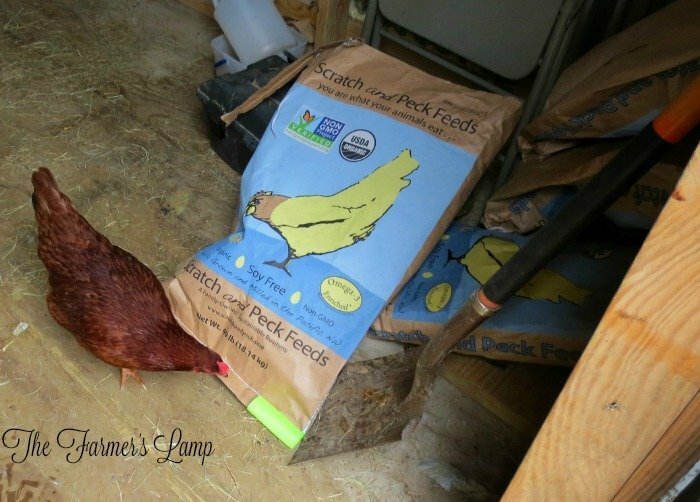 We did the research and decided to feed them what we deem to be the best chicken feed based on the goals we have for our flock. Knowing what your chickens need to be healthy and productive will make the choice easier. Believe it or not, chickens don’t have to have grain to live. Hear me out, I have a method to my madness. Ya see chickens aren’t herbivores (plant eaters). They’re actually omnivores which means they eat meat and plants. My chickens adore all manner of insects, worms, and even mice. If you’re raising free-range chickens, then you know the first things they go for are those which are high in protein – the meaty critters. They eat seeds, grains, and grasses as an addition to their diet. Old-timers most always free-ranged their flocks so they only gave them a little cracked corn in the evenings to draw them back to the chicken yard and coop. As poultry farms came on the scene, commercially produced chicken feed became the mainstay for even the homesteader. We free-range our flocks so they only get grain once a day. There are times when it isn’t possible to free range them, like once we were having a bobcat problem, or if we’re going to be away an extended period of time. This means they would get extra feed. Our food supply is seriously compromised with GMOs and toxins. This makes feeding our families healthy food more challenging than it was just 50 years ago. If the livestock we eat is given GMO or toxin laden feed, it will make its way to our table because the animal and its products will be affected. We take this seriously. Some people can’t free range their birds because of space or even laws prohibiting it. What are they to do? They do what we all have to do, make the best decision we can and go with it. 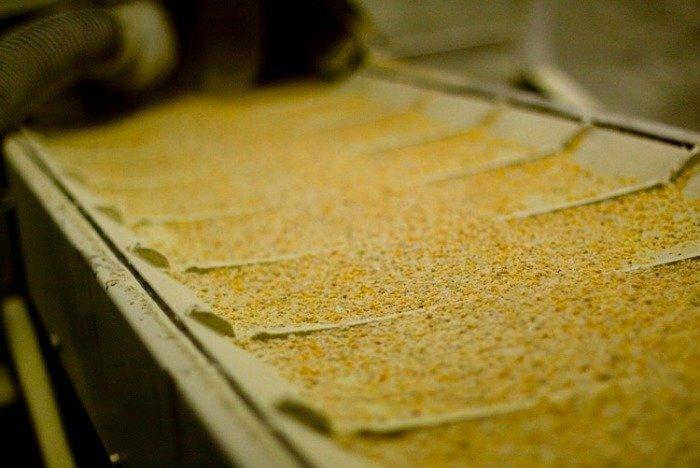 There are stringent guidelines for organic feeds. It must be made from organically grown grains which means no chemicals or pesticides. Non-organic micro-ingredients like salt, minerals, vitamins, and the amino acid methionine are allowed to be in organic feeds. 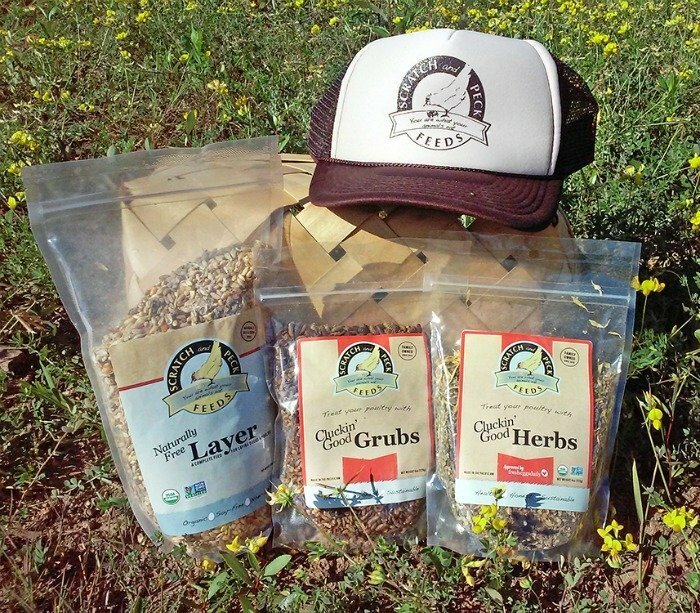 Most farm supply stores offer a choice between traditional chicken feed and organic chicken feed. The price will be higher for organic, non-GMO feeds but you have to consider the options and the cost and make the choice for yourself. There are ways to stretch your feed. Free-ranging, giving your flock garden and kitchen scraps, growing fodder and worms for them, and fermenting their feed are just a few ideas to stretch your feed dollar. We decided the benefits to our family and flock were worth the extra cost. Then the task was to find a company we could identify with could get locally. There are several options in organic feed. After many hours of research, we chose Scratch and Peck Feeds. Not only did they have the Non-GMO Project seal of approval, but they are a family owned and operated business. We identified with their goals, commitments, and standards for their business. We also felt we could trust and depend on them for quality. In small, rural settings, it can be difficult to get organic feed locally. We printed out some information from Scratch and Peck Feeds website and took to our local farm supply store. They were interested and asked their other customers if they would be interested in this type of product. After realizing they had a market for the feeds, they began carrying it. We were happy to be able to save money on shipping fees and to be able to feed our flock what we felt is the best chicken feed. They were happy to provide for the needs of their customers, but it also increased their market. The owner later told me he had customers who would drive over 4 hours to purchase Scratch and Peck Feeds’ products. If you don’t live in an area where organic chicken feed is available, try working with your local farm supply. You might be surprised. Laying Hens: Need a minimum protein of 16%, maximum of 18%; a minimum of calcium of 3%, maximum of 5%. All the other minerals are pretty standard in feeds: phosphorous, salt, fats, etc. Broilers (meat birds): Need a minimum protein of 18%, maximum of 20%; a minimum calcium of 0.90%, maximum of 1.5%. Other various minerals are pretty standard. Chicks: Because of their rapid growth, they require a minimum protein of 18%, maximum of 21%; a minimum calcium of 1%, maximum of 1.45%. Scratch feeds don’t contain fats and proteins so they aren’t good to use in place of a nutritionally balanced feed. Scratch and Peck Feeds has a Learning Center on their site which I recommend you make use of. This is where I first learned about fermenting feeds. They tell you how to ferment feed which will save you money and boost your flock’s immune health, how to sprout grains and more. And the Winner is Sammy and Gidget! Congratulations and Thanks to all of our entrants. Y’all have some beautiful birds! 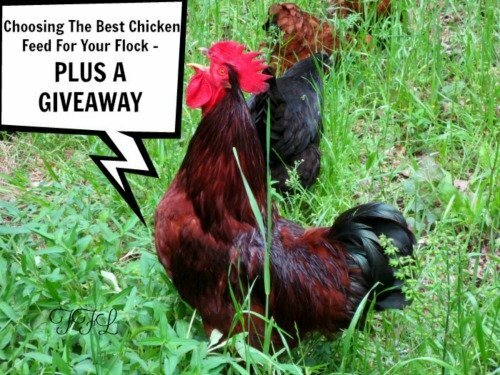 Scratch and Peck Feeds is giving one lucky member of The Farmer’s Lamp Community a bodacious bundle! 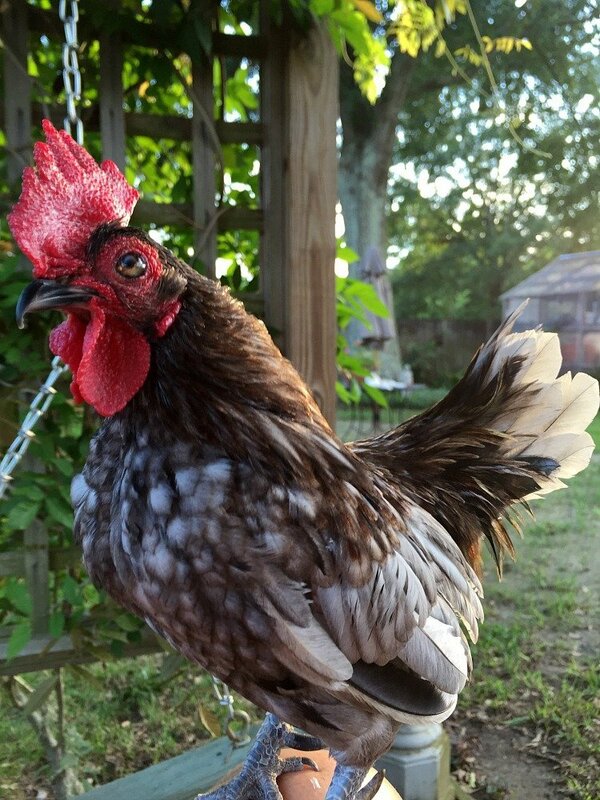 Simply Post a Comment and Upload a photo of your flock or a particular chicken. We know it may be hard to pick a favorite chicken so just pick a favorite photo. The Winner will be chosen at random by the Scratch and Peck Feeds staff members. You only need to enter once. The contest starts today, September 8th at 8 a.m. Pacific Time and will end Sunday, September 18th at midnight Pacific Time! The Winner will be chosen and announced on Monday, September 19th! If you need help on knowing how to upload a photo, feel free to contact me and I’ll help walk you through it. You must be at least 18 years old to enter this contest and a resident of the United States of America. If you win, you’ll be notified by email. You’ll have 24 hours to respond. If we don’t hear from you in that time, another winner will be chosen and they too will have 24 hours to respond. Y’all see how this goes? Be sure to check your SPAM folders of your email on the 19th. We’re excited to see your photos! Now get busy with those cameras!